The head of the European Broadcasting Union (EBU) has sent a letter to Ukraine's prime minister, warning that if Kiev doesn’t let Russia’s nominee participate in this year’s Eurovision Song Contest, its own future involvement in the event will be "under threat." Ukraine's decision to ban Russian wheelchair-using singer Julia Samoylova from entering the country for three years has "caused anger" amongst EBU members, the organization's director general, Ingrid Deltenre, said. 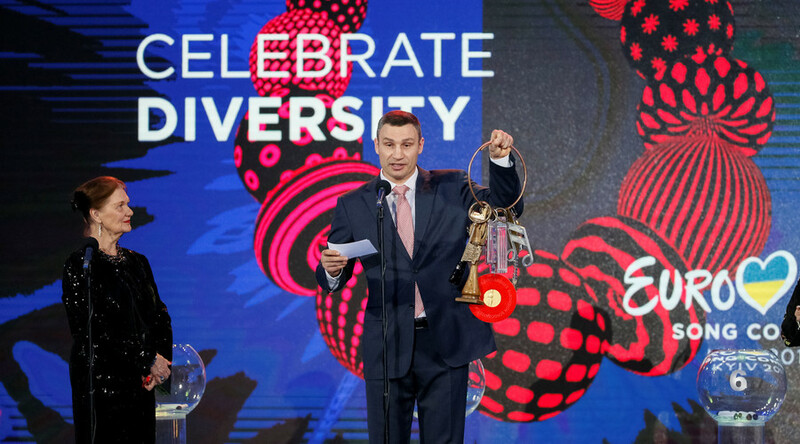 In her letter to Ukrainian Prime Minister Vladimir Groisman, leaked online by the Kiev Vlast website, the head of the organization operating the Eurovision Song Contest harshly criticized the ban, issued "without consultation with the EBU." "No previous host country has prevented an artist performing at the Eurovision Song Contest and the EBU would not like a precedent to be set in 2017. We consider the current ban of the Russian singer as unacceptable. As a consequence, the UAPBC [Ukraine's National Public Broadcasting Company] might be excluded from future events," Deltenre warned the prime minister. Eurovision's press office has confirmed the letter's authenticity to RT. Last week, the Ukrainian Security Council announced that 27-year-old Samoylova, who has been using a wheelchair since her early teens, had allegedly "broken Ukrainian law" and was barred from entering the country, making her participation in May’s Eurovision 2017 finals in Kiev impossible. Saying that the EBU "fully understands and respects the laws of Ukraine," the body's head pointed out that the European organization has "not been made aware of any information that Julia Samoylova poses a security threat to Ukraine." Kiev's decision in regard to the participation of the Russian delegation "would certainly have a very big negative impact on Ukraine's international reputation as a modern, democratic European nation," the letter said, adding that the ban might also "inflict damage" on the international song contest. "The EBU does everything it can to ensure that the Eurovision Song Contest remains a non-political event and we are increasingly frustrated, in fact angry, that this year's competition is being used as a tool in the ongoing confrontation between the Russian Federation and Ukraine," Deltenre said. A number of countries have already threatened to withdraw from the competition because of the situation, the letter revealed. "Please be aware that should we not be able to find an agreeable solution to this matter it will without doubt place the future participation of Ukraine in the Eurovision Song Contest under threat," the EBU official concluded, having demanded that Russia be allowed to participate in the event "under the same conditions as the other 42 delegations." The letter, which was sent to Kiev last week, was forwarded by the prime minister to other Ukrainian authorities, including Ukraine's culture minister, interior minister and Kiev's mayor, Kiev Vlast reported, adding that a deadline for a reply to the EBU had been set for March 31.